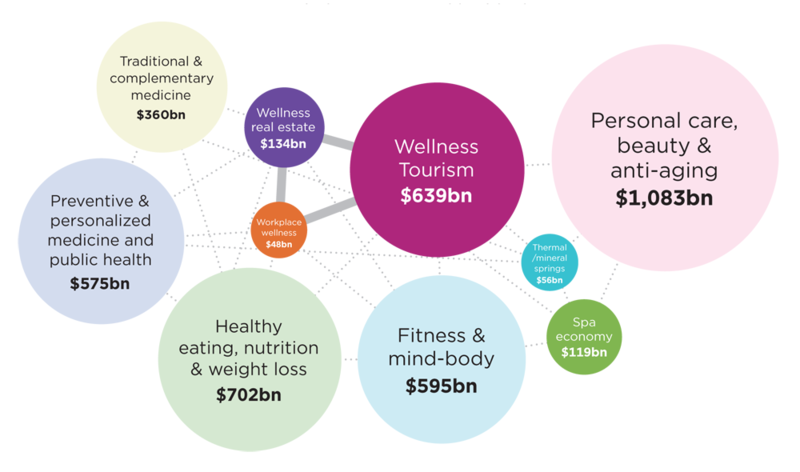 The global wellness industry has grown 12.8 per cent, from a US$3.7tn (€3.2tn, £2.8tn) market in 2015 to US$4.2tn (€3.6tn, £3.2tn) in 2017, according to the 2018 Global Wellness Economy Monitor, revealed at the Global Wellness Summit last month (see p78). The all-new data, by the Global Wellness Institute (GWI), shows that the wellness economy increased by 6.4 per cent annually, nearly twice as fast as global economic growth at 3.6 per cent. 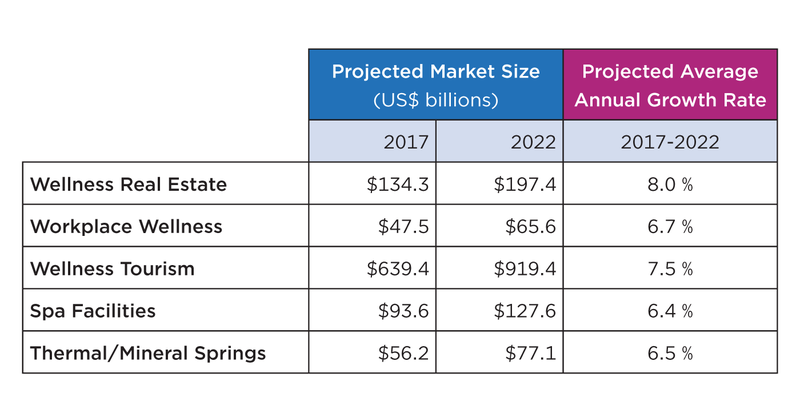 Valued at US$119bn (€103.1bn, £90.6bn), the global spa economy comprises spa facility revenues, now worth US$93.6bn (€81.1bn, £71.3bn) yearly; and also spa education, consulting, associations, media and event sectors, now US$25.2bn (€21.8bn, £19.2bn). While the spa economy is the third smallest out of all wellness markets, it’s grown the fastest in the last two years with revenues increasing by 9.8 per cent. This is much higher than the 2.3 per cent pace of growth from 2013 to 2015. The number of spas jumped from 121,595 in 2015 to over 149,000 in 2017, employing nearly 2.6 million workers. Interestingly, hotel and resort spas brought in the most income and have now surpassed day spas and salons as the industry’s revenue leader. 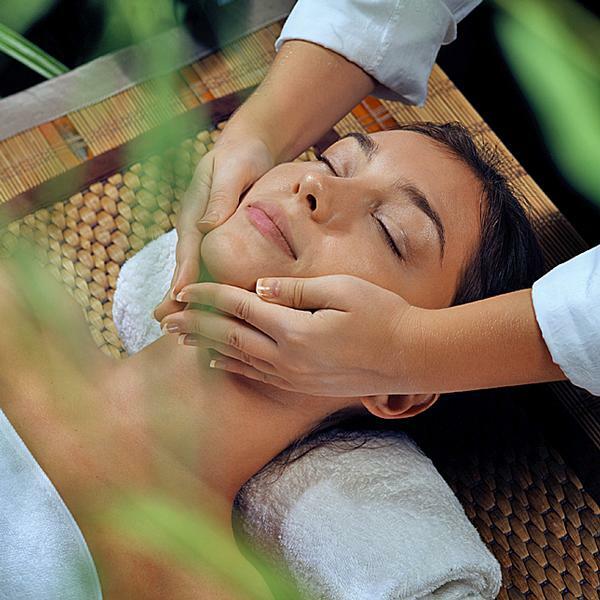 The main drivers of the spa industry, according to the report, are rising incomes, the rapid growth of wellness tourism, and an increasing consumer propensity to spend on all things related to wellness. Asia-Pacific is home to the largest number of spas, the report shows, and also added the greatest number of new facilities from 2015 to 2017. Europe led in total spa revenues in 2017 (see Diagram 2). Across the world, the spa industry remains quite concentrated in five countries – the US, China, Germany, Japan and France – which, when combined, account for 48 per cent of global revenues. Meanwhile the top 20 countries represent 77 per cent of the global market. However, the industry is becoming slightly more dispersed over time. In 2017, 18 countries had annual spa revenues exceeding US$1bn, and Indonesia and Australia each surpassed the US$1bn threshold for the first time. The thermal/mineral springs market continues to develop as more people turn to water for stress relief, healing and community, the report says. Market revenues increased by 4.9 per cent from US$51bn (€44.2bn, £38.8bn) in 2015 to US$56.2bn (€48.7bn, £42.8bn) in 2017, making it the fourth fastest growing sector out of the wellness markets. The number of facilities jumped from 27,507 (in 109 countries) to 34,057 (in 127 countries) – employing 1.8 million workers. The majority of thermal/mineral establishments worldwide are rustic and traditional bathing and swimming facilities. “They target local markets and charge relatively low admission. 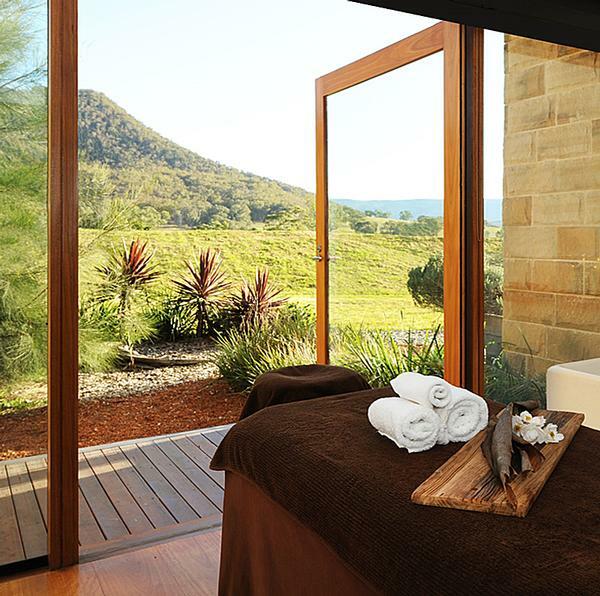 About a quarter of establishments are higher-end, targeting tourists and offering value-added spa services,” the report states. Those that offer spa services account for a much greater share of industry revenues (66 per cent) than those without. The thermal/mineral springs industry is heavily concentrated in Asia-Pacific and Europe, “reflecting the centuries-old history of water-based healing and relaxation in these two regions”. 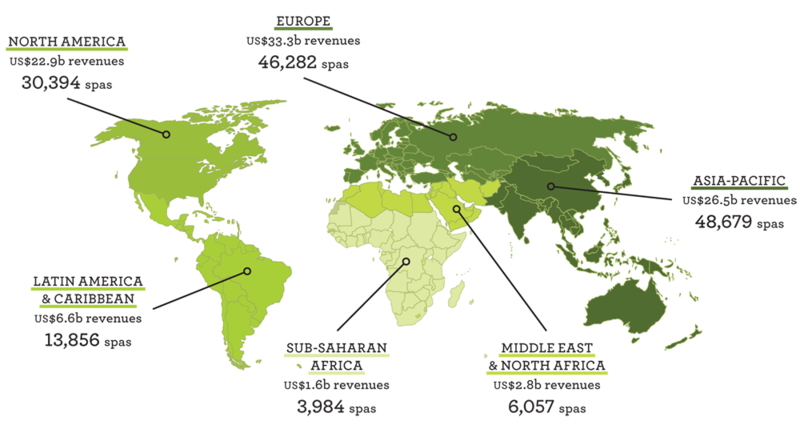 Together, these two world regions account for 95 per cent of industry revenues and 94 per cent of establishments. The GWI worked on original research for five of the 10 wellness markets and used secondary sources for the others. Johnston predicts that all five of the sectors it worked on “will continue to grow faster than GDP over the next five years”. Johnston adds: “Everyone here [including spa operators] should be looking for opportunities to bring the wellness services and products into these three core spheres of people’s daily lives, in new, innovative and creative ways. 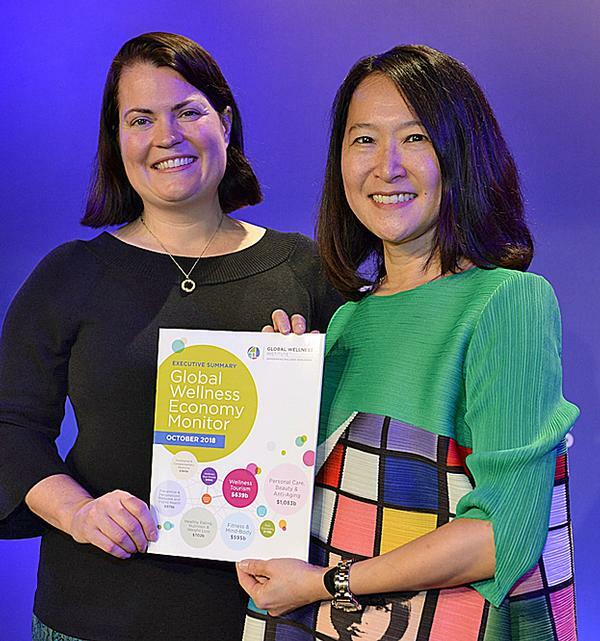 While the 2018 Global Wellness Economy Monitor findings sound promising for both the spa sector and wider wellness market, Yeung and Johnston are also keen to give a reality check. Note: Numbers do not add due to overlap in segments. Dark coloured bubbles are the sectors for which GWI conducts in-depth, country-level primary research. Light coloured bubbles are sectors for which GWI aggregates global estimates only, drawing from secondary sources.